Colony Energy holds a 100% interest in and to certain petroleum, natural gas and general rights, including Alberta Crown Petroleum and Oil Leases, in 20 contiguous sections totaling 12,960 acres located in the Godin area of Northern Alberta. Colony Energy LLC consists of 100 sections (64,000 acres) of land in the Godin region of Alberta. 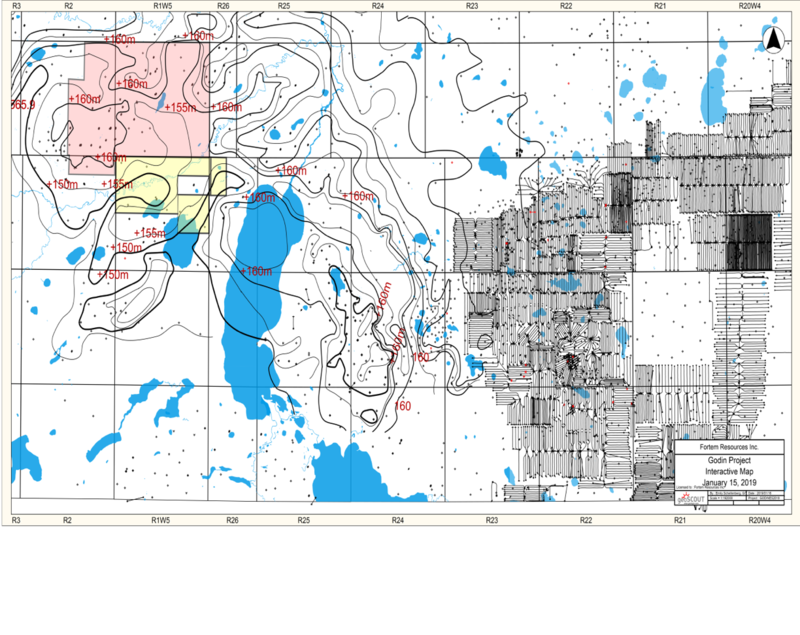 The Wabiskaw formation has an analog well (13-27-082-02W5/0) in the Western edge of the acreage, which has tested oil and showed moveable oil in the shakers during the drilling process. Approximately 26 kilometers to the east of the Godin property is the highly successful Canadian Natural Resources Limited (“CNRL”) Pelican Lake Heavy Oil Project, also known as the Brintnell Project. Colony’s Godin property is located between the 13-27-082-02W5/0 well and the Brintnell project where CNRL is producing approximately 50,000 Bopd from the Wabiskaw Formation. In the annual performance submission to the Alberta Energy Regulator by CNRL, they stated that primary recovery on their leases has been between 5 to 8%, while incremental polymer flooding has increased tertiary recovery to a range of 14% to 30%. Upon review of the Godin Heavy Oil property, the company has revealed that there are many similarities between the two areas in the Wabiskaw formation. Colony’s technical team has performed an extensive geological and engineering study to determine that the Godin play is analogous to the CNRL Brintnell Project in depth, porosity, oil saturation and structure. As of February 2018, a NI 51-101 report was conducted and audited by Deloitte on only 20 sections (12,800 acres) of the company’s 100 sections (64,000 acres). The remaining acreage is in the process of being evaluated by Deloitte.